Our handy meal planner helps you plan a whole week of meals and makes cooking easier than ever. Get great tips for your baby's nutrition, diet, health, exercise, immunity, and more! CERELAC Infant cereal is a complete meal for babies at the start of their introduction to solid foods once they complete 6 months of age. It is the safety net for both nutrition and protection gaps with its nutrient-dense content and immune supporting nutrients for your baby’s proper physical growth and cognitive development. 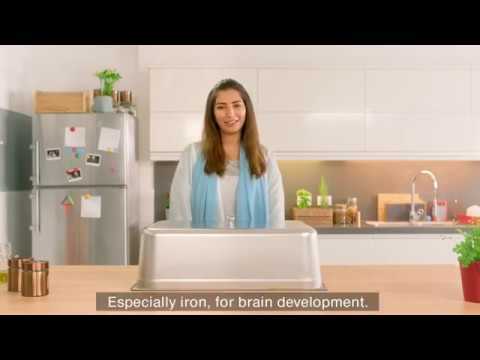 Fortified with Iron + complex, rich in iron, zinc, DHA, Omega 3, calcium, Vitamin A, C, D and minerals. By adding beneficial microorganisms, Bifidus BL helps strengthen children’s resistance. Bifidus BL is a probiotic similar to those found in the digestive system of breastfed babies. Bifidus BL has been clinically proven to help keep your baby's intestinal flora healthy and strengthen his natural defenses. Based on the patented Nestlé CHE (Cereals Hydrolyzed Enzymatically) process, which breaks down the carbohydrates for easy digestion. 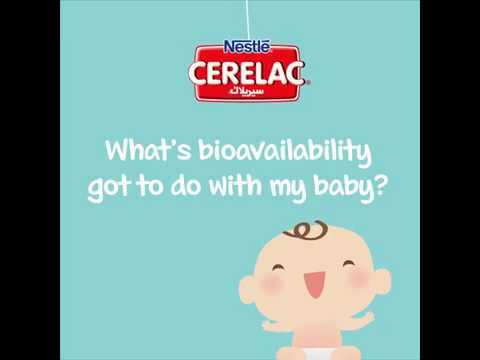 Nestlé CERELAC® weaning food is made from natural ingredients, and comes in a delicious flavor that your baby will love. What is big nutrition for my baby’s small tummy? Mommy, here's a special Ramadan tip for you! Have your little 8 months old join you on the Iftar table as you have your dates and he has CERELAC® Wheat and Date Pieces!